The Saskatchewan Immigrant Nominee Program declared modifications to its In-Demand Occupation List, including 13 new National Occupational Classifications (NOCs) including Computer Programmers and Interactive Media Developers. 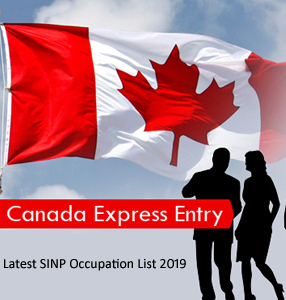 The recently announced SINP Occupation List applies to the Saskatchewan Immigrant Nominee Program (SINP’s) International Skilled Worker — Express Entry and Occupation In-Demand sub-categories. The In-Demand Occupation List presently comprises of 24 occupations, out of which nine occupations don’t require professional licensing with a regulatory body specified by the SINP. The new list also provides details on the SINP’s requirements related to a foreign national’s educational credentials. In this criterion a Job offer is not required to be eligible for either the Express Entry or Occupation In-Demand sub-category, the applicants only required to demonstrate their experience under one of the demand occupations category. So as to be considered for SINP Provincial Nominee Program the applicant should initially register an Expression of Interest (EOI) System profile with the Province and acquire a point score out of 100 based on SINP’s unique points assessment grid. If the applicant is successful to get a Nomination, additional 600 points will get added to their Comprehensive Ranking System (CRS) points. To increase your CRS through PNP please contact KAN Visa Direction, ICCRC registered immigration consultants in Delhi. You can submit your details to info@visadirection.com to avail a FREE Visa Assessment.